Back in 2011 I wanted to do a review of the original 1974 Godzilla vs MechaGodzilla, but at the time of writing it, Japan had been hit by a huge tsunami, so I decided to leave it. But now MechaGodzilla finally arrives as I bring you one of the best films from the series, and one of my ultimate Favourite films. To date, Godzilla has fought about 22 Monsters (not including variations), but the Big G has not really fought himself before. Most times he has appeared to fight himself have mostly been in the form of a robotic version of himself (including a disguise used by MechaGodzilla in the original Godzilla vs MechaGodzilla) not to mention the Space version of himself in the 1995 film; Godzilla vs SpaceGodzilla. However in 2002 Godzilla would indeed fight against himself (well, more like his ancestor), and would do so while also fighting his main rival. No, not King Ghidorah, MechaGodzilla. The film begins in 1999 with a military operation in action at a port. By night a typhoon arrives and reporters are reporting what is happening. Behind them a large waves hits the shore and a rather familiar monster begins to rise out of the sea. The Anti-Megalosaurs Force (AMF) goes into action with several tanks and maser weapons en-route to attack the monster, now smashing small local villages. The AMF begin their attack but are unsuccessful. The maser weapons have a bit more luck but as the monster gets closer, an accident occurs where a small jeep falls off a cliff only to be trampled by the Monsters foot. The following day, the maser tanks driver Lt. Akane Yashiro (Yumiko Shaku) is made a scapegoat for the incident and is given a job in data resources. The Prime Minister (Kumi Mizuno) of Japan recounts previous monster incidents in Japan’s history including the rampage by the original Godzilla as well as attacks by Mothra and Gaira and how these attacks were suppressed by new weapons developed. Now with the confirmation that the Monster from the previous night’s attack was indeed Godzilla, the country needs a new weapon. A scientist at a University named Tokumitsu Yuhara (Shin Takuma) is contacted by Government Agents. He is taken to a science centre where, along with other top scientists are shown the bone remains of the original 1954 Godzilla. The plan by the government is to use the bones to build the ultimate anti-Godzilla weapon. After some persuasion from his daughter Sara (Kana Onodera), Yuhara joins the team in building the weapon. Four years later, the Prime Minister has stepped down and has handed her position over to Hayato Igarashi (Akira Nakao). The weapon is complete and is named Kiryu, A special unit is created whose job it is to control Kiryu and is led by Colonel Togashi (Kou Takasugi), Akane is asked to join the group, she accepts, however one person from the group disagrees to this as his brother was in the jeep that was trampled by Godzilla in 1999. After months of training Yuhara and his daughter meet Akane who takes an interest in Sara’s sleeping grass plant. Yuhara tries to ask Akane on a date, but is unsuccessful. Kiryu is revealed to the world and its abilities are demonstrated, including its main weapon, the Absolute Zero Cannon. During this presentation Godzilla is spotted heading for Japan, Kiryu is ordered to deploy. Godzilla arrives in Tokyo near an aquarium, wrecking it in the process. Kiryu is deployed and the two monsters stare at each other. Kiryu launches several missile attacks on Godzilla which don’t seem to have much success, but when Godzilla roars, Kiryu appears to recognize it. Akane, who is tasked with piloting Kiryu, tries to activate the Absolute Zero Cannon and kill Godzilla, but it fails. Godzilla retreats into the sea. Kiryu is about to be picked up by special aircraft when it mysteriously attacks the aircraft. Kiryu then goes on a rampage of downtown Tokyo. Akane’s rival’s plane crashes and Akane rescues him before his plane explodes. Kiryu’s rampage continues until his energy levels drop completely running out of power in the process and coming to a complete halt. Kiryu is repaired as questions of what happened begin to arise. Akane’s rival is seemingly unhappy about being rescued, while the rest of the Kiryu squad seem to be thankful for what she did and give her a warm round of applause and properly welcome her into the group. She however still feels alone despite Sara trying to reach out to her. Yuhara works out that the DNA of the original Godzilla caused the issue, recognizing the roar of the new Godzilla. Yuhara continues to attempt to spring up romance with Akane while Sara becomes upset with the Idea that Kiryu should be made to fight Godzilla instead of being friends with him. Godzilla reappears and the Prime Minister makes the decision to allow Kiryu to fight despite the possible risk. Kiryu goes on the attack and quickly gets an upper hand but soon runs out of weaponry and gets heavily damaged by Godzilla. Akane then shows off what Kiryu can do by having Kiryu fight in hand to hand combat. This initially works and so the Absolute Zero Canon is prepared to fire. Then Godzilla pulls off an advantage by making Kiryu fall backwards destroying three tall buildings with the Absolute Zero Canon instead. This heavily damages Kiryu and so Akane goes down onto the ground to enter and control Kiryu internally rather than remotely. The Japanese Defence Force deploys to distract Godzilla while this is going on. Akane manages to Get Kiryu working again but Kiryu needs power, so the electric companies cause a Mass Blackout across Tokyo. Kiryu gets back up only to be blasted by Godzilla. Akane is injured but gets strength to continue fighting by memories of Sara telling her how precious life is. Kiryu gets back up ready to fight, Akane’s rival flies his plane into Godzilla’s mouth to prevent him firing his atomic breath at Kiryu again. Akane, prepares to fire the Absolute Zero Canon at Godzilla, but holds it as it would potentially kill her rival if she fired it, instead she moves Kiryu into Godzilla, grabs his mouth then throws her rivals plane away before picking up Godzilla and flying him into the sea. The sea freezes as she flies Kiryu into it. Godzilla rises out of the sea with a chest wound, he moves in an opposite direction to Tokyo as Kiryu rises out of the sea. Akane stands on Kiryu’s shoulder and watches Godzilla go out to sea. In a post credits scene, Akane meets up with Sara and Yuhara and thanks Sara for giving her strength. She states that the battle was a draw and invites Yuhara and Sara out for dinner before looking up at Kiryu and Saluting. I do have the distinct feeling that the Director Masaaki Tezuka and TOHO have wanted to do a film along the lines of the plot of this film for a long time now. If you were to watch an episode of the 1990’s cartoon series there is a plot of some episodes which are along the same lines as this one. As well as that, there was also an unused plot idea in the 1990’s where Godzilla would fight the Ghost from the 1954 film. It is interesting to note how the plot of this film works. For the most part it is a film about a country building a weapon to defend itself from a recurring threat, while also being a film that has essences of philosophy such as the value of life as well as parts about friendship and love which is mostly made up of the growing friendship between Sara and Akane and the possible romance between Akane and Yuhara. These three parts don’t take a side stance either; they are present throughout the film as more of a second plot device. That is interesting in contrast to other Godzilla films which may hint at those possibilities while this one shows it more directly. I also like how the films story mentions other TOHO films like Mothra and The War of the Gargantuas. The films cast are a nice range of characters with actors that suit them. 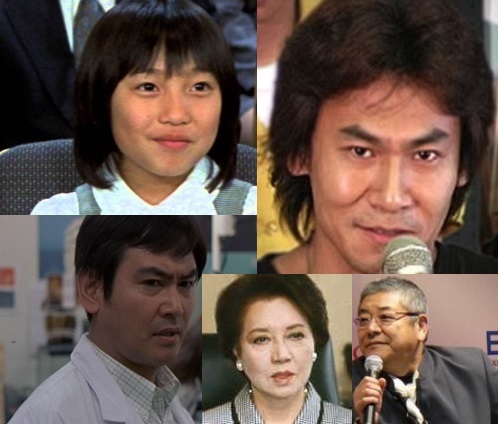 Characters like Yuhara, Togashi and Prime Minister Igarashi make up the backbone of the film’s acting. Yuhara is the single father who has two main jobs, looking after his daughter, and his work on Kiryu and so is able to balance the two only just, but the flaw in his character is revealed when it is revealed he is not very good at chatting to women and so becomes a bit of a comedy character, but not too much though and so does not ruin the character. It is nice to see Kumi Mizuno return to the Godzilla series as the short lived Prime Minister of Japan before Akira Nakao steps in. Togashi meanwhile is a strong leader character who has affections to Akane in some form, we don’t know what but they are strong enough to remember her and think about her when the project he is leading needs good soldiers. Igarashi only makes a few appearances but is played excellently by series regular Akira Nakao who plays leaders very well in my opinion, I look forward to his parts as he is an amazing actor in those positions, a lot like Koji Yakusho in some respects. The character of Sara meanwhile is one that is almost like a storyteller in the respects that she is guiding the story along between Akane and her father and also helps Akane to come to terms with herself and her place in the world. She is almost a philosopher as well as she continually asks questions about everything around her that she does not understand but still has an answer for them too. The real heavyweight of the film’s acting though (other than the two Giant Monsters) is Yumiko Shaku playing the part of Akane. She is the main lead human of the film and while Sara could be seen as the film’s story teller, Akane is the story’s director. The during the construction of Kiryu as well as the incident at the beginning and the end, you are very much focused on her throughout the film. For most of the early part she does not do much talking but her expressions pretty much do more than speaking would do. She has the look of someone who is holding in something about herself and so buries herself into both her training and work to distract herself from these things, it is not until the story begins to unfold that these things come to light. The friendship she strikes up with Sara and Yuhara (and in some cases Kiryu) is a sign of these things getting better but she still feels alone, even with the help and acceptance of those working with her after saving her rival’s life. As the film comes to a close, it is here that she realizes that life is worth living and that people do care about her even after everything that has happened. The character of Akane is one of the series best female characters by far and I do hope that in the future Yumiko Shaku returns to the series in a similar (or better role, maybe a higher position in the military or government position perhaps) role in the future. Now we move onto the Monsters, the real stars of the film. Kiryu is my Favourite version of MechaGodzilla to date. His design is spectacular and looks both nasty and terrifying. The effects used for him are some of the best in the series. His appearance has the scary terrifying look of the original Godzilla but his design is more similar to the 1995 MechaGodzilla thanks to such additions as the jetpack thing on his back and the variety of weapons. He is more of a weapons platform of devastating weapons than being an entire weapon. He is however better than previous versions of himself by one major difference, he has an identity. In the past he has either been just another monster or a weapon. Because of the machine being built around the bones of a former Godzilla and by being in-touch with that monster he has more of a personality, his rampage early on in the film represents this by taking control of himself rather than be directed or controlled and therefore giving him more of a part in the film. It is also Great to see a MechaGodzilla that is more in league with the times, his construction is well documented which gives a nice touch to the story and his character but his construction is not limited to the use of Aliens or people from the future, he is built by the present times due to a need for him to be built. Godzilla meanwhile makes one of his best appearances in his film career. He is much larger and taller in this film compared to the previous film and several shots are used to show this with great effect. Like all but one film in the millennium series, his introduction is that he has not been seen since the original 1954 film, but instead of becoming a folk tale, his presence is still felt thanks to appearances from other monsters. Some CGI is used in this film for Godzilla’s part but these are really only for the shots from the original film. His strength and power is used to great effect in this film showing that even if a weapon is built that can go toe to toe with him, it is still only just, and on several occasions this is proven. Godzilla’s design is also magnificent and really matches his size also, and the way his eyes sometimes look astonished at what he sees and other times where his eyes make him look really sinister add more flavour to his character, possibly due to the characteristics his eyes brought in the previous film. Most of the films main special effects are used in the military scenes. While the use of miniatures is till apparent, something that is a regular feature throughout the series; more uses of actual, real life weapons are used in the film also. Things such as tank and vehicle close-ups are filmed brilliantly with some shots taking place inside the vehicles. Not only that, but close-ups on a human level when using a giant miniature in the background made things that are not real, real. The battle sequences in this film are some of the best to date, not just the fight sequences between the monsters but also the occasions when weapons are used against the monsters and the use of close-ups help this also. But not just that, the weapons used by Kiryu look superb, weapons including the mouth laser, missiles and the Absolute Zero Cannon too, and when it is used, the effect of the weapon is Fantastic. Other notable uses of special effects are the early scenes of Godzilla rising out of the sea, his rampage through small villages. The weather plays an important part the weather in some shots might of course be the real thing, but those scenes are beautiful. The detail of the special effects is incredible and this comes to great use when looking at the systems and buildings used for the construction of Kiryu as well as the testing ground, the vehicles used for transportation, the interiors, everything. But one of the best special effects of this film is the Giant Skeleton of the original Godzilla. The large sea tank that the skeleton is kept in, the people swimming around it. It is only seen for one scene, but it is terrific. The film’s soundtrack (provided by Michiru Oshima) is mostly made up if not completely made up of military style music. From the TOHO logo at the beginning of the film to the fantastic opening titles, and this is pretty much what it is like throughout with scenes including the first meet between Godzilla and Kiryu. Every now and again though there is something different in the music such as the skeleton reveal, Kiryu’s rampage and scenes between the three main human characters. The soundtrack gives a nice comparison when it is compared to the mystical themes provided by Kow Otani in the previous film but due to this film’s theme though, the military style soundtrack works extremely well where as a mystical theme would not. Godzilla Against MechaGodzilla is an Amazing film. The film, like many in the millennium series has references to the original 1954 film but processes it in its own way, it even (well sort of) brings back the original monster into the film to meet his descendant in combat. The cast is a good mix with most credit going to Yumiko Shaku. The Monsters are brilliant and the action/fight sequences are terrific but does not rely on those and continues to amaze throughout in other forms too. The soundtrack has a nice military sense to it for a film that is made up of mostly military themes, and the special effects are Fantastic. It is a Great Triumph for Masaaki Tezuka after what happened with his previous attempt at a Godzilla Film and he can hold his head high, producing one of the Best Film’s in the entire series as well as one of my Favourite Films. And not only that, this film had a direct sequel the following year.